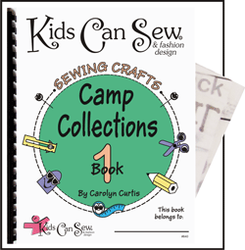 The shop contains the Kids Can Sew™ line of Instruction books and pattern packets that form the basis for my children’s classes. In addition, I've hand selected a couple of pattern lines that I think are particularly suited to children. The Carol’s Zoo stuffed animal collection is delightful, the patterns are easy and the animals are fun. 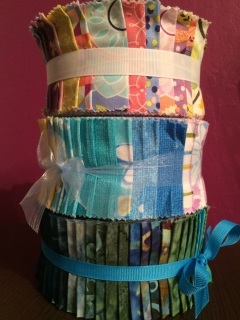 The fabric and/or fur in each kit are authentic looking as are the eyes and nose and the ribbons are a colorful accent. These patterns allow children to create their own much loved and “professionally” sewn animal. 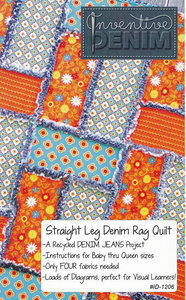 The Inventive Denim patterns are great for kids as they love their jeans and outgrow them all the time! This gives them a fabulous way to re-use them and make an heirloom quilt at the same time. The patterns are beautiful, with a simple design and style and the diagrams and instructions are the best I've seen anywhere. The few supplies that I carry are selected because I've found them to be the best for children to use. It is important to choose good quality products to make sewing easier so children experience success. Your deposit of $50 secures enrollment in a specific class time and will be applied towards the first month’s tuition. 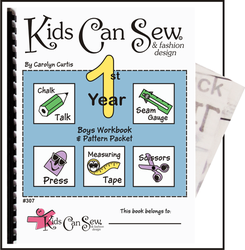 The balance of tuition and payment for the Kids Can Sew™ book and patterns will be due the first class. Thereafter, tuition is due the first class of each month. Please contact us at 775-824-0729 to ensure class availability before paying your deposit! Instruction Book and Pattern Packet ~ Teaches fabric layout, pattern layout, cutting, elastic casings, hems, facings, how to pivot, and much more. The projects are: Back Slit Denim Skirt, Square Neck Blouse, Nightshirt, Pants, Round Neck Blouse, Shorts, Sewing Bag, Peasant Nightgown, Peasant Blouse and Small Bag. 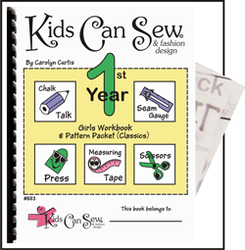 Instruction Book and Pattern Packet ~Teaches fabric layout, pattern layout, cutting, elastic casings, hems, facings, how to pivot, and much more. The projects are: Pants, Shorts with a patch pocket, Blouse, Back Pack, Nightshirt, Shorts with inside seam pocket, & a T-Shirt. Instruction Book and Pattern Packet ~ Teaches inset sleeves, small gathers, drawstring waist, double stitching, basting, sewing with knits and more. The projects are: Sport Blouse, Sport Shirt (long sleeve), Sport Shirt (short sleeve), Sport Shorts, Sport Pants, Capris, Tank Top, Ruffle Skirt. 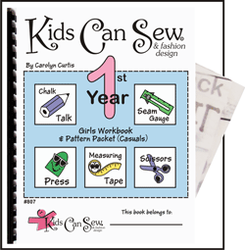 Instruction Book and Pattern Packet ~ Teaches additional sewing skills such as fuse-on interfacing, lining, waist bands, button holes, fly front, circular hemming, sewing hook and eyes, inserting zippers and more. The projects are: Button Vest, T-Shirt, Circle Skirt, Leggings, Cover-All Shorts, Sport Shirt, Velcro Shorts, Sleep Shirt, Little Purse and Hot Pad. Instruction Book and Pattern Packet ~ Teaches fabric layout, cutting, elastic casings, hemming, facings, and much more. The projects are: Pants, Shorts (Patch Pocket), Shirt, Back Pack, Nightshirt, Shorts (inside seam pocket), & T-Shirt. Instruction Book and Pattern Packet ~This pattern packet consists of several sewing crafts. 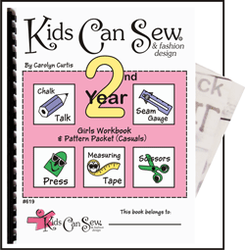 The projects are designed for girls and boys or all ages and the first of the Sewing Crafts Collection series. Projects are made using a sewing machine. The projects are: Big Foot Pillow, Tie Blanket, Back Pack, Pencil Case, Reversible Head Band, Small Bag, Four Squares Pillow, Heart Door Knob Hanger, CD Holder, Pocket Pillow, Denim Bag/Purse, Pod Pouch, and Small Bag. Two Instruction Book and Pattern Packet ~This pattern packet consists of several sewing crafts. 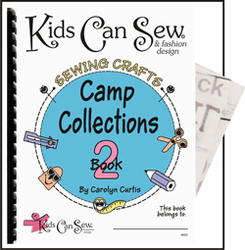 The projects are designed for girls and boys of all ages and the second in the Sewing Crafts Collections series. Projects are made using a sewing machine. The projects are: Gecko Pillow, wallet, swim wrap, fun bag, t-shirt pillow, place mat tote, triangle scarf, flip flops, cell phone bag, square door knob hanger, patch purse/Bag, and Bean Bug. 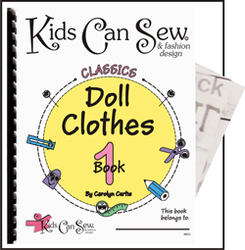 Instruction Book and Pattern Packet ~ These doll clothes patterns are designed to fit the popular 18 inch dolls. Each garment matches the Girls 1st Year Pattern Packet (Classics). Patterns: Back Slit Denim Skirt, Square Neck Blouse, Nightshirt, Pants, Peasant Nightgown, Peasant Blouse, Round Neck Blouse, Shorts, Doll Sized Sewing Bag. kit includes everything you need, pattern, lime green fleece, eyes, nose, ribbon and even fiberfill if attending class at Urban Stitch Studios. This kit includes everything you need, pattern, Black Fur, eyes, nose, ribbon and even fiberfill if attending class at Urban Stitch Studios. This kit includes everything you need, pattern, giraffe fabric, eyes, nose, ribbon and even fiberfill if attending class at Urban Stitch Studios. This kit includes everything you need, pattern, purple print fabric, eyes, nose, ribbon and even fiberfill if attending class at Urban Stitch Studios. This kit includes everything you need, pattern, warm brown fur, eyes, nose, ribbon and even fiberfill if attending class at Urban Stitch Studios. 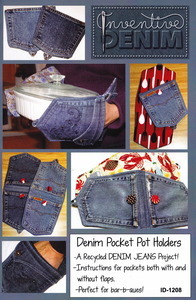 Pattern to make a fun and easy pot holder from your Recycled Denim Jeans. Easy! Pattern to make a denim rag quilt from your Recycled Denim Jeans. This pattern uses the straight parts of the jean's legs (the upper portion including the pockets will not be used). It is a simple rag quilt using only four fabrics. There are only two (very similar) blocks repeated throughout the whole quilt. A VERY easy quilt with lots of diagrams! 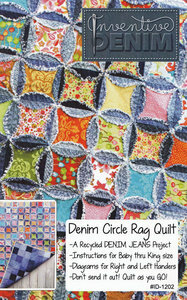 With the Denim Circle Rag Quilt pattern you will make a “faux cathedral windows” quilt entirely from Recycled Denim Jeans! *Why “faux”? This quilt has the appearance of cathedral windows but uses a much easier technique. It is "quilt as you go" so after you've sewn the last stitch, you’re done! No sending this quilt off to the longarmer! 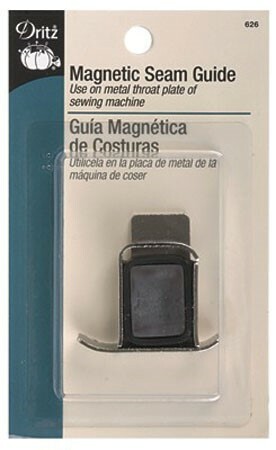 This magnetic guide really helps kids to sew straight seams. 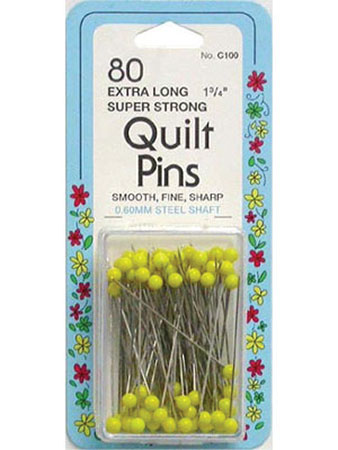 These pins are great for the beginning sewer as the larger head is easier to handle and they won’t melt when ironing. These are a very good scissor, nice size for kids and will last a long time.